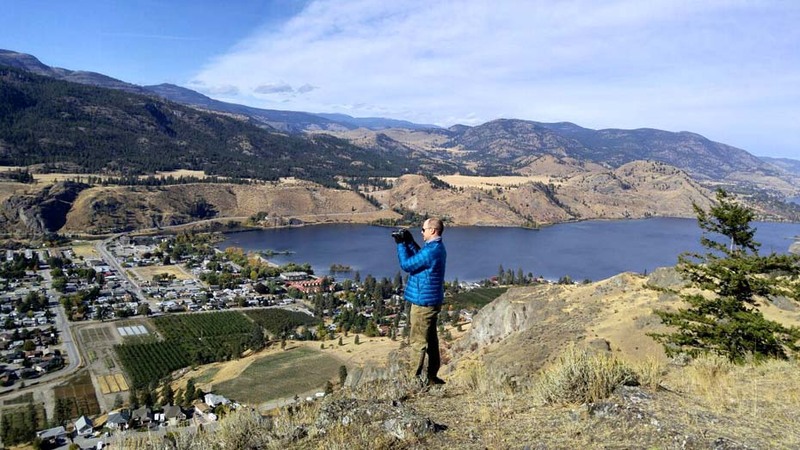 If your favourite type of hike is one with a view at the end, British Columbia’s Okanagan Valley is definitely the place for you. 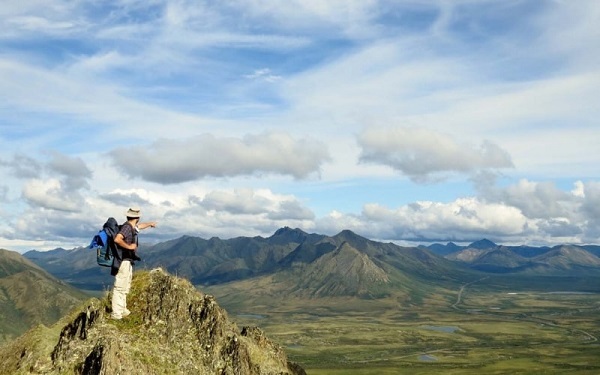 Almost every hiking trail in the area seems to lead to some kind of lookout over the pretty patchwork of vineyards, sparkling lakes, dramatic rock formations and sunkissed grassland. This does mean that most hikes involve gaining some elevation, but the payoff is absolutely worth it. 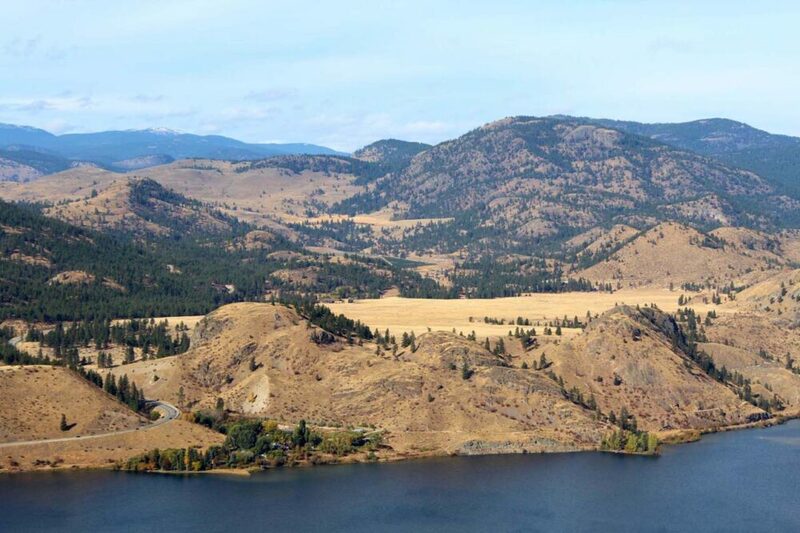 Peach Cliff in Okanagan Falls is no exception to this rule. 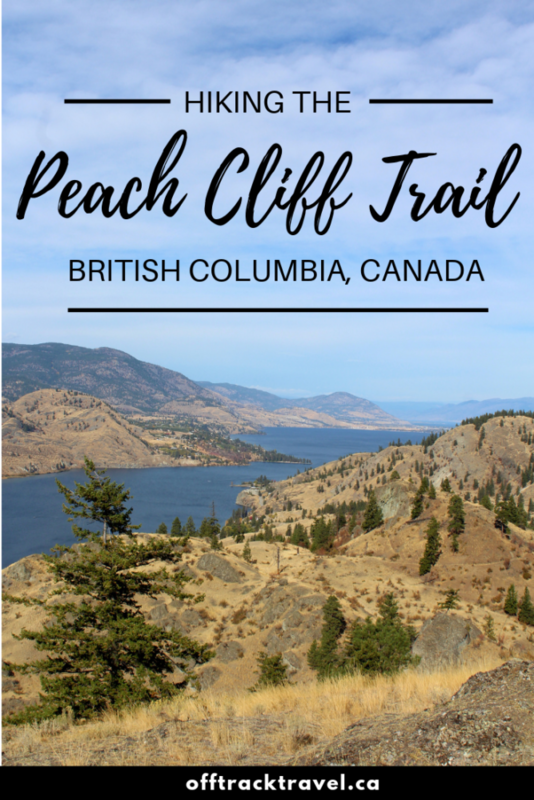 Just a short drive south of Penticton, the Peach Cliff hike is short, interesting and rewarding. 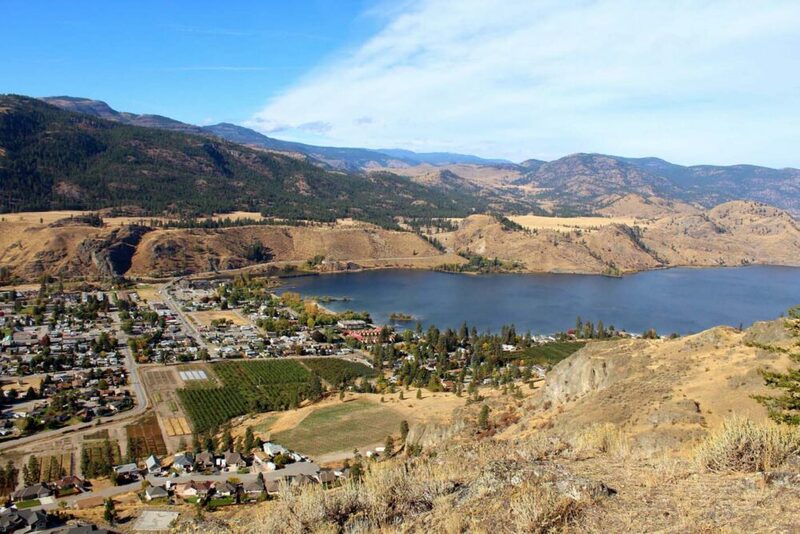 The epic views stretch from Vaseux Lake to Skaha and Penticton. 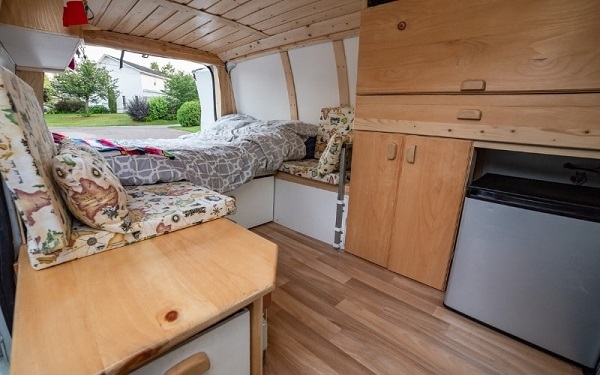 It’s perfect for those slightly chilly autumn afternoons when you’re feeling lazy but it’s just way too sunny to stay inside. 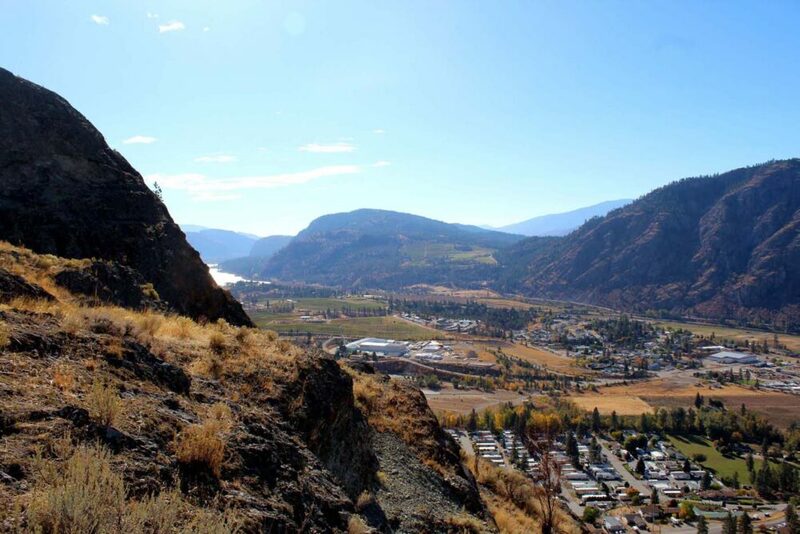 When driving through the Okanagan Valley there are a number of towering cliffs and bluffs that catch the eye. 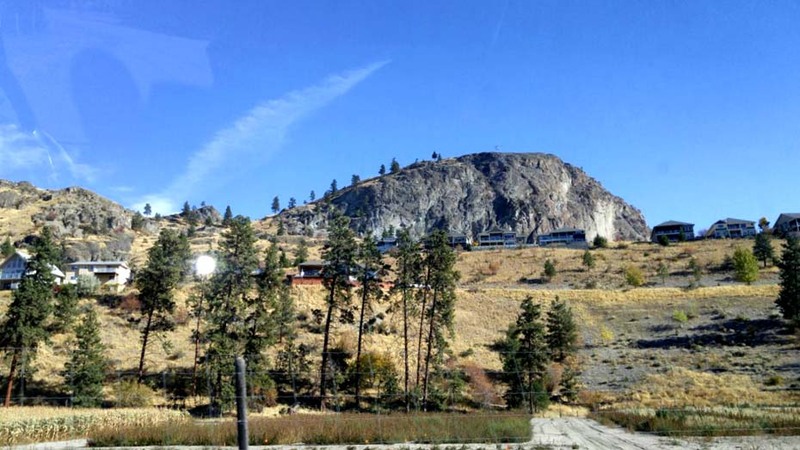 One of these is Peach Cliff, a rocky outcrop that looks over the small town of Okanagan Falls (OK Falls for short). 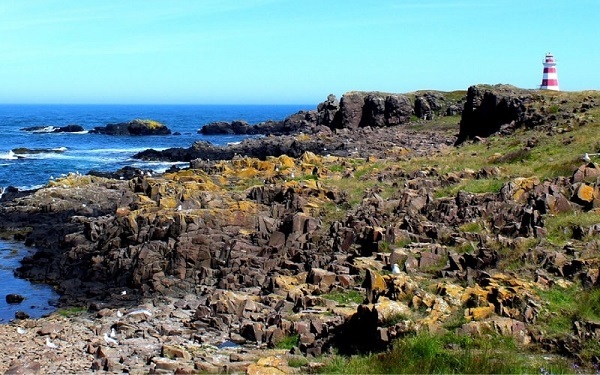 This 600m rockface is part of what was once the continental shelf and is approximately two billion years old. 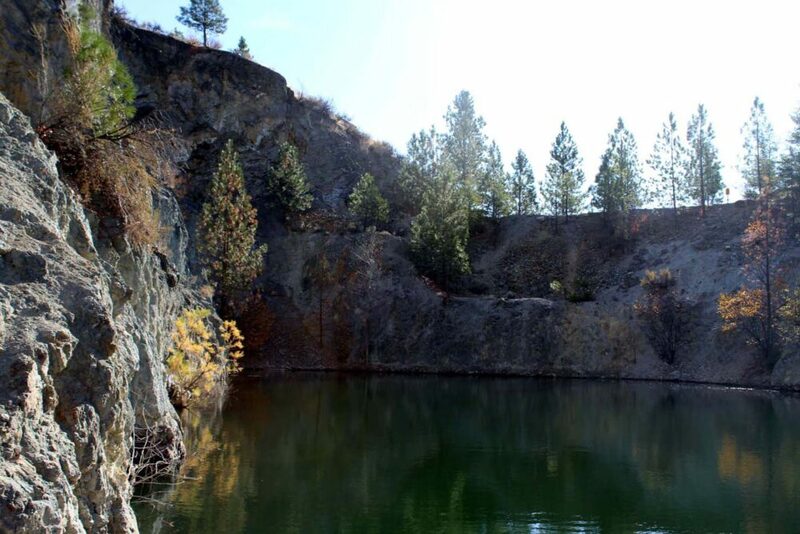 The outcrop was originally created by earthquakes and volcanoes but then rounded out by glaciers and ice melt. 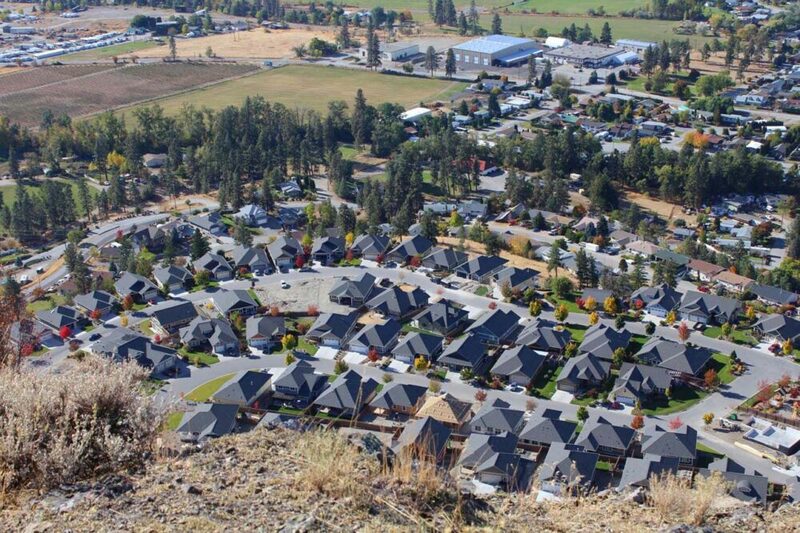 This violent history is one of the reasons why the Okanagan Valley looks so different to other valleys in BC. 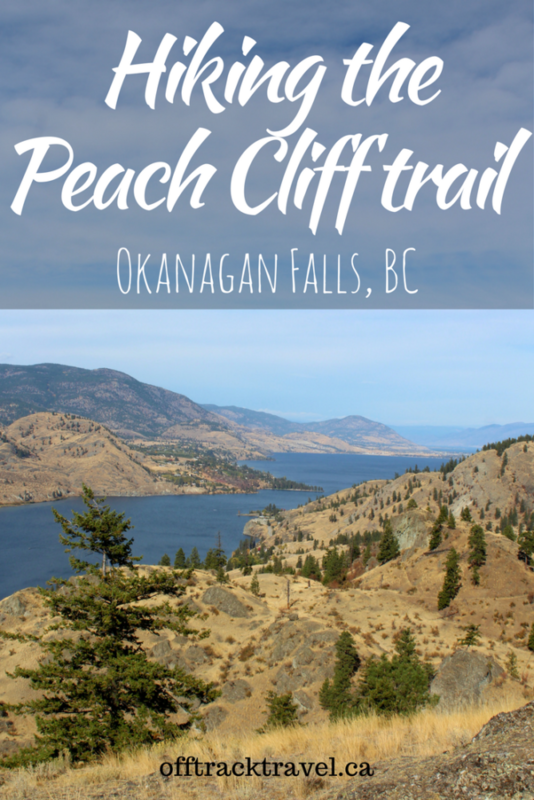 The Peach Cliff hike trailhead is located on an unassuming backroad to the east of Okanagan Falls. 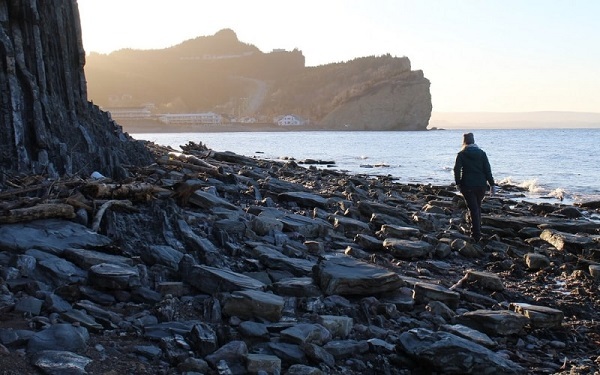 Like the trail to McIntyre Bluff (which can be found just a little further south), the actual rockface is approached from behind. This means the views are revealed towards the end of the hike, kind of like a reward for making the trip. On the way, however, there are a few interesting things to break up the journey. After about ten minutes of hiking, the trail opens up and a small shed appears on the left. Only, it’s not quite like any other shed. 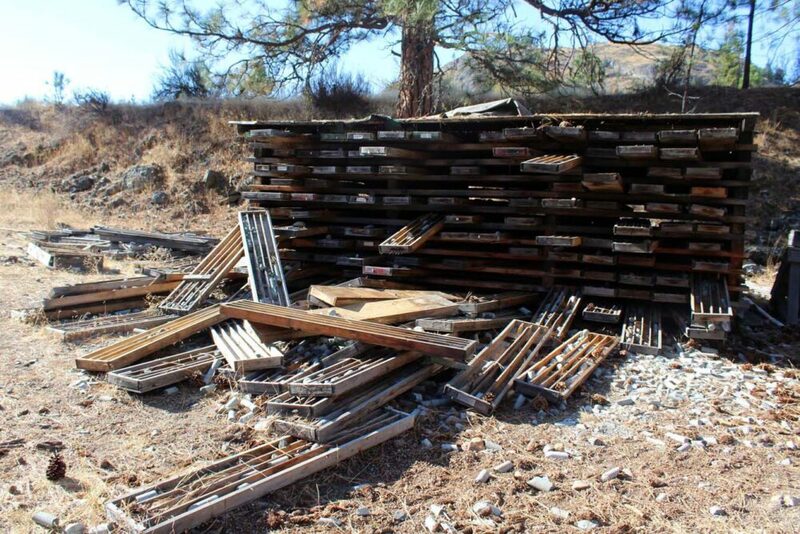 This one stores old core mining samples. 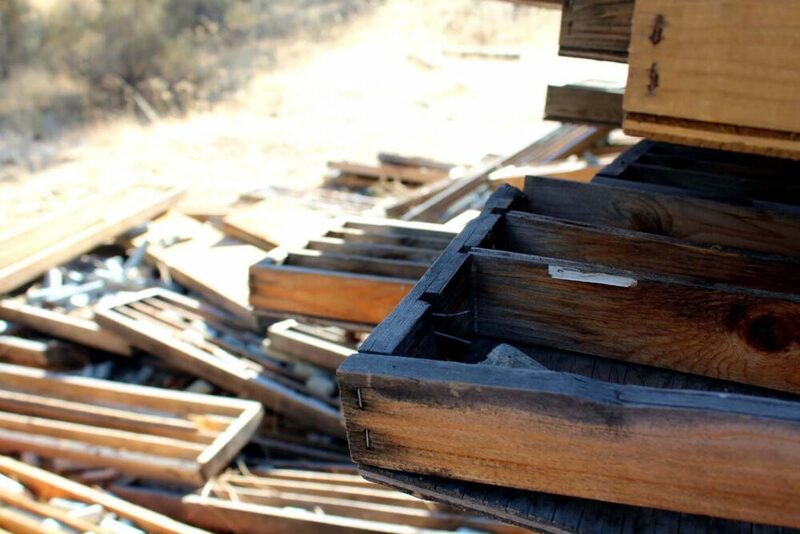 From 1969-1976, the Peach Cliff area was home to the Dusty Mac Mine which produced silver and gold. There have been other exploratory drills here during the decades since. 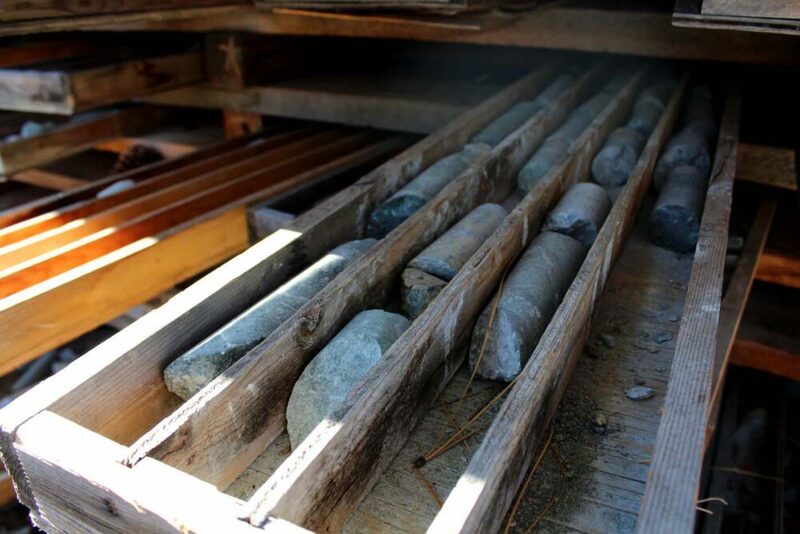 While leftover mining equipment can be found all over BC, I’d never seen anything quite like this. Just around the corner (stay left) from the core sample shed, is an old quarry pit. It has since filled with water that now glitters green. It’s apparently possible to spot goldfish in this pond, but we didn’t see any on our visit. Backtracking to the main trail from the pond, the hike can get a little confusing from here. Well, at least we found it to be! There are a few different routes heading towards the Cliff; I think they have been recently created by ATVs. However, all these routes do all seem to travel vaguely left towards the Cliff and then converge near a cattle gate overlooking Skaha Lake. Go through this and then look left for a narrow trail leading up towards a satellite tower. 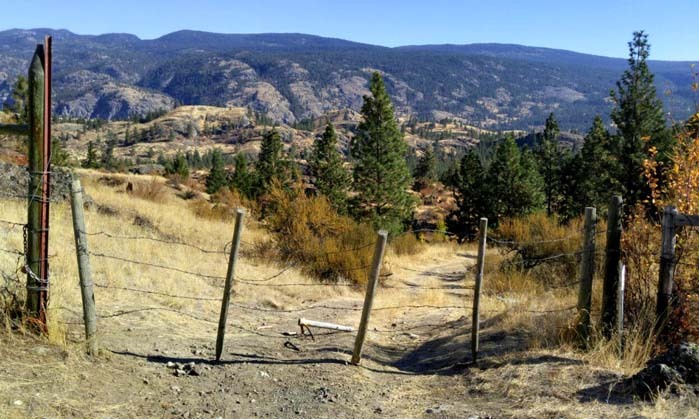 If you continue on here and don’t make the turn left, the trail starts to descend and turn north towards Penticton (i.e. the wrong direction). The views are still pretty panoramic from here, so even if you do go wrong (or don’t feel like hiking to the top), it’s not really a bad thing! The narrow trail leading to Peach Cliff is steep yet fairly grippy. The surface is mostly smooth rock, scree and tall grass. Most of the trail goes straight up rather than using switchbacks and can be a bit of a grind. The good news, however, is that the elevation gain is quick. We didn’t go quite the full distance to the satellite tower but had excellent views and a rock bench from our position about two-thirds of the way up. 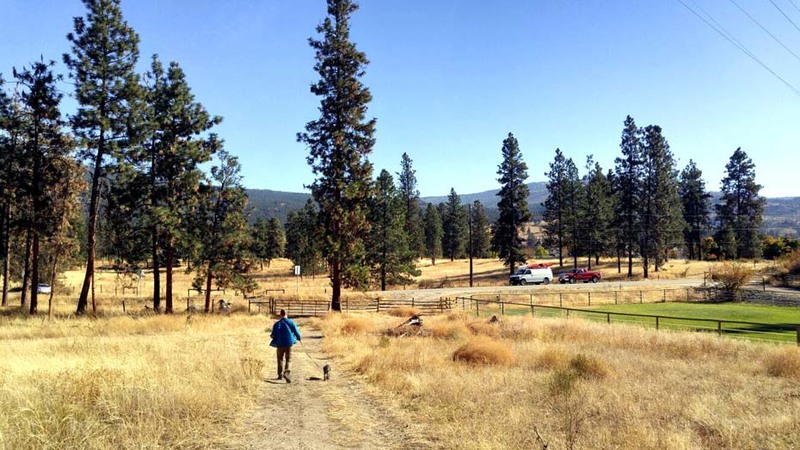 The trailhead location is on McLean Creek Road, just to the east of Okanagan Falls. 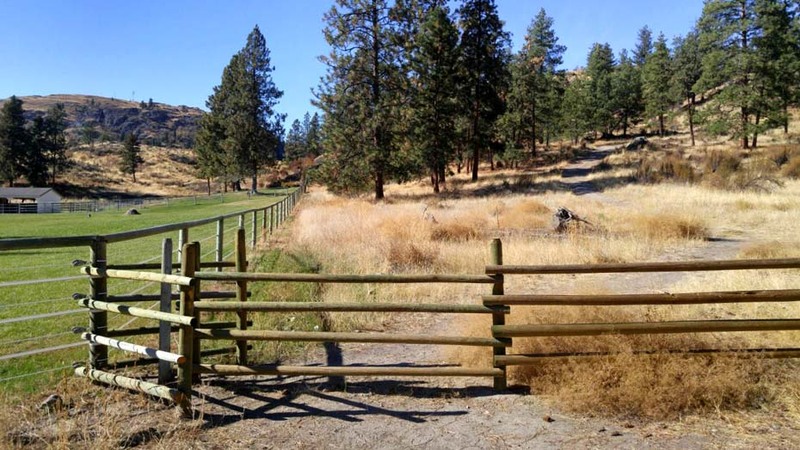 There is a gate (see photo below) just to the right of the property at 4062 McLean Road. Note that the hike is not signed, but you can clearly see the trail leading west from the gate. There is no designated parking but vehicles can safely park parallel to the road. As always, be mindful of local residents. Peach Cliff hike trail distance is around 5km. We spent just over two hours on the trail with a leisurely stop at the top for lunch. 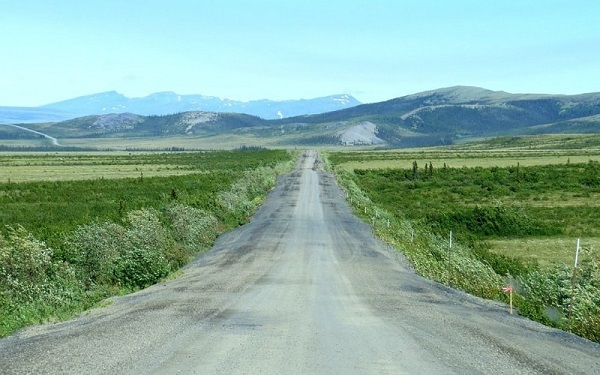 There are no outhouses or bins along the route, so be sure to pack out all trash. 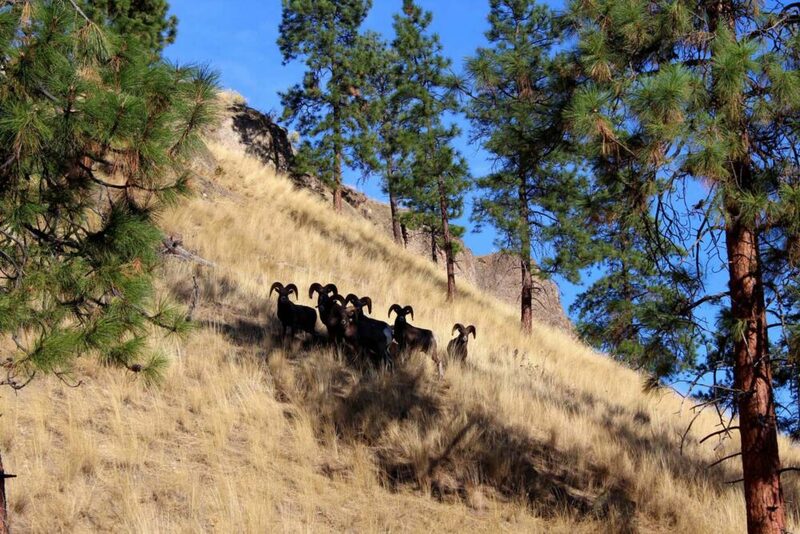 Even before starting the Peach Cliff hike we were lucky enough to spot a herd of bighorn sheep. From what I’ve read, it’s not uncommon so keep your eyes open! 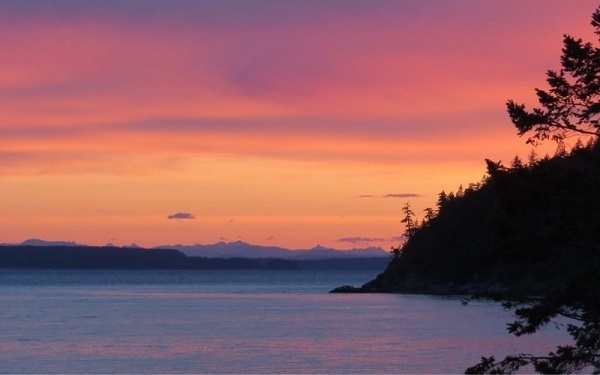 If planning to hike to the top of Peach Cliff, wear shoes with decent tread and consider bringing hiking poles. I wish I’d had mine for the journey down since it is fairly steep and there is some loose rock. 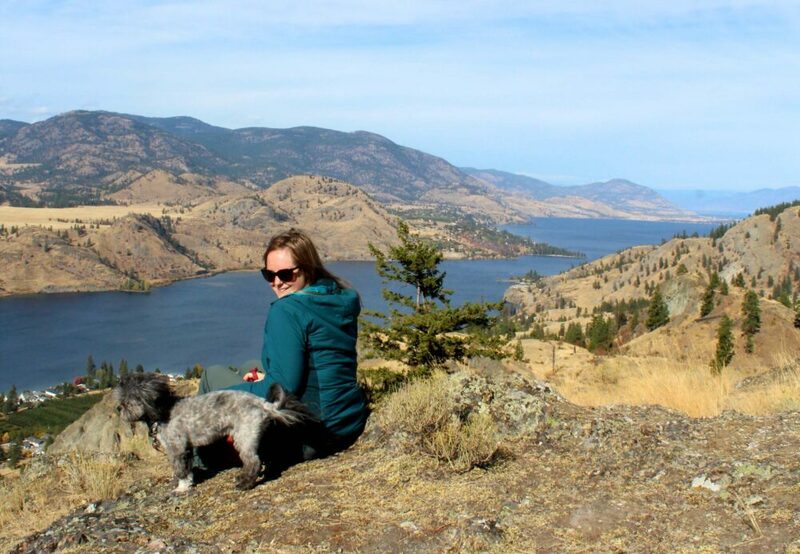 Planning to book a stay near Okanagan Falls, BC? PIN or save this post for future reference with one of the above photos! Looks amazing, love the bits of history and all the views from the hike! Definitely would love to do it! 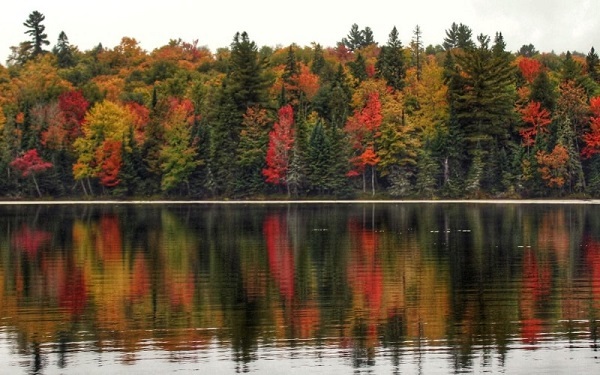 Thanks Audrey, it’s an interesting (and beautiful) hike for sure!